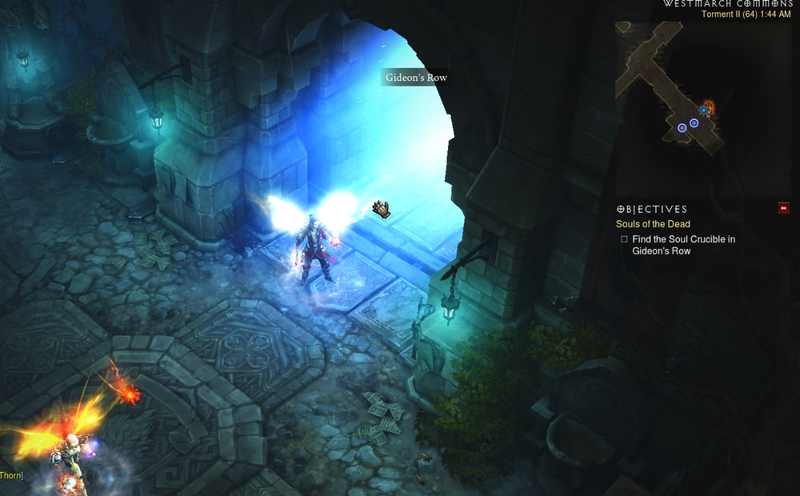 If you have trouble finding Gideon's Row location while playing Diablo 3 Reaper of Souls, please note that this is located in the teritory called Westmarch Commons, usually if you go south-west. Be advised that there are plenty optional locations to enter (that are worth doing for experience and drops). Above you can see how Gideon's Row entrance looks like. Usually the story and quest entrances are with blue, while the optional ones are marked with orange. This is parts of the Souls of the Dead quest and you'll need to enter in order to find the Soul Crucible.